Joe trained at Brent Street Studios where he received an all expenses paid scholarship to live and train at New York City’s Broadway Dance Center. In 2015 he was lucky enough to be in the first cast of Marko Panzic’s Dream Dance Company ‘ GENESIS ‘ which went on to tour nationally. Joe then secured his second contract, now with Opera Australia, in ‘Turandot’. 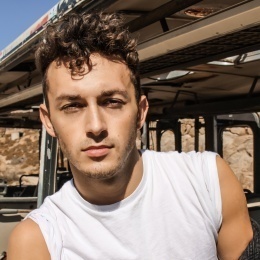 By the age of 20 he had danced behind international artists including CharlieXCX and performed on Australia’s XFactor under the direction of Squared Division. Most recently Joe embarked on a contract around Europe for several months with Norwegian cruise line. In 2018 he will be performing once again for Opera Australia in the major event of the season ‘ The Nose ‘. Joe is thrilled to be joining the Atkinson team and can’t wait to meet everyone!